The Dominant 20: Tiger tops our list, but how close is he to great again? 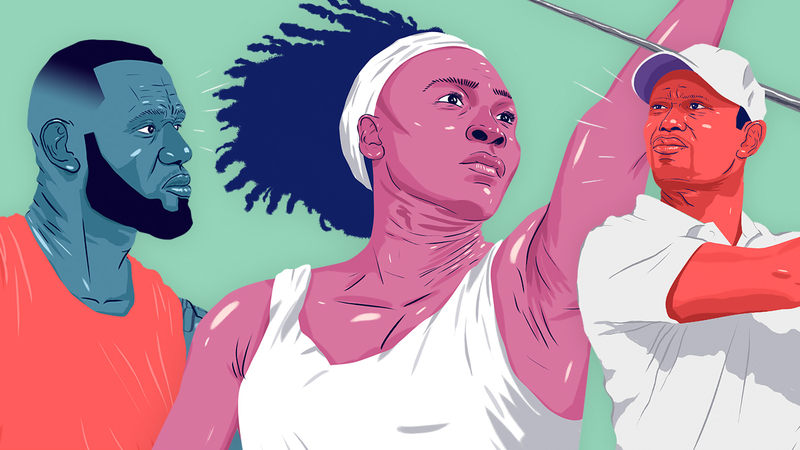 This story appears in the 20th anniversary issue of ESPN The Magazine. Subscribe today! You can also catch our full Tiger Woods interview on "Marty Smith's America, Golf Edition" on Thursday at 7:30 p.m. ET on ESPN. 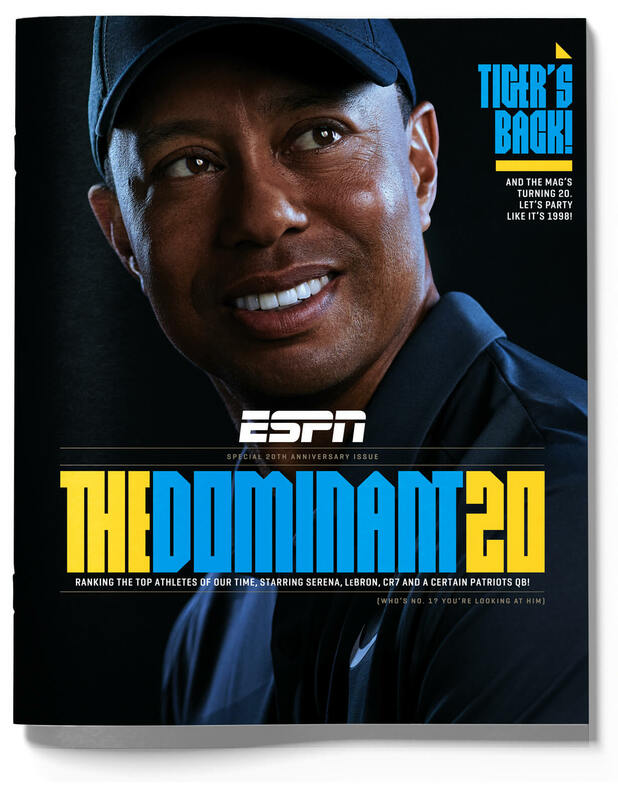 The most dominant athlete of ESPN The Magazine's 20 years won 13 majors from 1999 to 2008, 10 more than any other golfer. Ahead of the Masters ("SportsCenter @ The Masters" coverage begins Wednesday, April 4, on ESPN, WatchESPN and the ESPN App), Tiger Woods sat with ESPN's Marty Smith to discuss what made him great, and how close he is to being great again. Smith: What do others not know that helped you be so dominant? Woods: Well, I think it's all the work I did, in the house, working in front of the mirror chipping. It'd just drive my mom crazy when I used to put her crystal up on a table and I used to hit flop shots over it -- now, that's real pressure, by the way. So, it's just the amount of work that I put into it outside of what people saw during the 18 holes of competition that one particular day. I put in so much effort and so much time to becoming good. I gained a lot of my confidence, not through tournament play, but through practice. And the better I practiced, the better I played, because I knew that's what I was capable of. If I had great practice sessions, I knew I was going to play well because that's how I can hit the golf ball, that's how I can putt, that's how I can chip. If I wasn't practicing well, then what makes you think I could do that in a tournament? Smith: What moment or shot do you remember when you knew you were great? Woods: I think probably life peaked at 11. I won 36 tournaments that year. I went 36-0. I got straight A's. Life was good. Woods: ... waiting for my dad to come. And he always called me Sam. So he'd say, "Sam, you there?" I'd say, "Yeah, Pop, coming up." And I'd come up. We'd hop in the cart. And I'd play with my dad until dark. Smith: True friends, like people you really consider friends. Smith: How do those people ebb and flow when you have your stature, your career, your accolades, your name. How does that work? Woods: I think three of them I've known since childhood, so we've grown up together. And then, over the years, I've had people come in and people leave. Life changes, life evolves. My life has certainly changed and evolved. And same thing with my friends. Smith: One thing that I can't stand about myself is that I care what people think. I wish I didn't, but I do. How much do you care? Woods: A lot less than people might think. I really do care about how the people I love and trust view me. But that's as far as it goes. Smith: Certainly some of those people are your [two] children. Smith: In what areas in your life are you growing the most right now? Woods: I'd have to say one is understanding my new body. I'm able to play golf again out here with my buddies. I missed that so much. I used to bring my son out here, and he'd play and I couldn't because I couldn't swing a golf club. I could barely ride in a golf cart. And for a game that has been a part of my life since I could, you know, as far as I can remember, that was very disheartening. It hurt. I hit some pretty low periods, and I've finally come out on the other side. Smith: What were the low periods like? Woods: The low periods were ... for the better part of four to six months, I had to be helped out of bed every day. Woods: And there were some days where even if you helped me, I couldn't stand up. I'd have to just either fall to the floor or just stay in bed. That was a tough part of my life. Smith: Rory told me that he thinks you have five years left in you and that you're this close to winning now. Thoughts? Woods: I am pretty close, I think, to putting it all together. It's like riding a bike, but it's a new bike. It's a new body. I know what to do. I know what I can do. But it feels different, and that's one of the things I'm still getting used to. Smith: For a layman, what is the difference between when you struggled and now that you're back? Woods: The easiest thing is I have no more pain in my lower back. Difference is, I don't have the same range of motion. I'm stiffer there. My angles that I used to hit on the golf course, the angles I used to create with my body, I can't do that anymore. And, so, I'm learning to do it a different way. I have the speed, I have the pop, but it's done differently. I feel pretty good about it, but I'm not quite there yet. Marty Smith is an ESPN reporter and host of Marty Smith's America. To catch the full Tiger interview, tune in March 31 at 4:30 p.m. ET on ABC.